It may have been raining in Boston, but that didn't dampen Zac Efron's spirits. The 30-year-old actor withstood the dreary weather to cheer on his younger brother Dylan Efron, who was running the Boston Marathon. Dressed in a black raincoat, Zac was clearly proud of his brother. In a video of Dylan crossing the finish line, Zac can be heard yelling, "Yeah, Dylan! Yeah, let's go, dude! Yeah, dude!" He also posted a sweet video of the two brothers hugging after the race. "'What's the point of all the finish lines we cross in life if there's no one there to celebrate with?'" he wrote in the caption of the Instagram video. "This used to get me down when I felt alone—There's many reasons BTW—Ima be at every [race] with you from here until forever, Brother. Congrats @dylandefron #marathon #bostonmarathon #letsgo." Dylan was also clearly thrilled to have his brother's support. "First Boston marathon [check]," he wrote on Instagram. "Cold, windy, rainy…but what a memorable day. 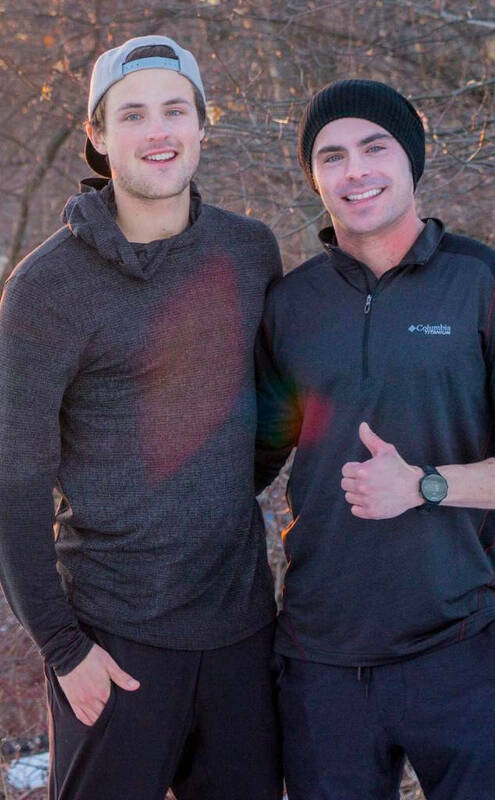 @zacefron and @coourtking waiting for me at the finish was all the motivation I needed." The runner completed the marathon with a finish net of 2:57:50 and a finish gun time of 3:00:55.